Vergil’s Downfall wastes no time in picking things up from the end of DmC’s main campaign. 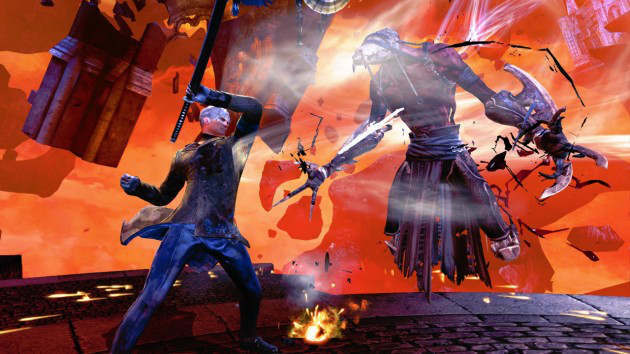 In fact, the DLC begins right as Devil May Cry’s final moments are taking place. Dante has just ran his dear brother through and Vergil, spared only by Kat’s merciful pleas, teleported away. Then Dante and Kat share a brief moment, and DmC comes to a close. The world is temporarily safe and Vergil’s status is unknown. That is, unknown until now. 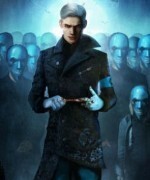 DmC: Vergil’s Downfall sheds light on Vergil’s whereabouts and goings-on after the end of Devil May Cry. In that sense, this add-on is unlike those found in other games. It is not an optional sidequest that bears no weight on the ultimate outcome of the story, such as Mass Effect 3’s Leviathan or Skyrim’s Dawnguard. 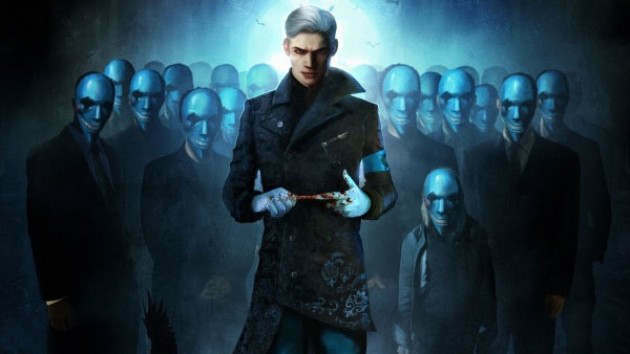 Vergil’s Downfall is quintessential to the continuation of the DmC series, and bridges the gap between the reboot itself and any sequels that may come. Vergil’s Downfall tells the story of how the character transitions from radical extremist to pure evil villain. After fleeing the scene at the end of DmC, Vergil finds himself at his mother’s grave. He collapses, and begins to die. 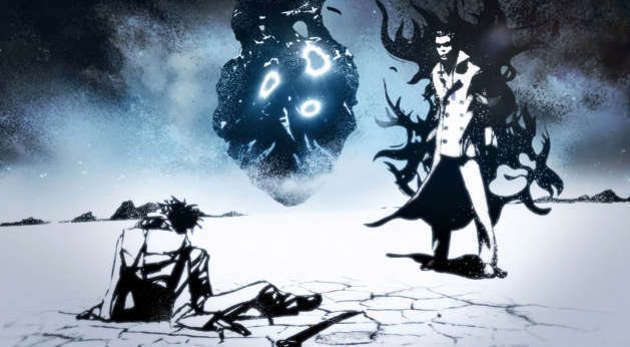 As he descends into hell, Vergil wakes up at the ruins of his family’s former home. It is here in a purgatory-esque dimension that Vergil begins his journey into true darkness. The first thing you will notice about Vergil’s Downfall is the drastic shift in artistic direction. Over half of the DLC’s cinematic scenes are 2D animations. While the art is gorgeous and the animation brings the drawings to graphic life, the sudden shift in style is a bit jarring. This is especially distracting if the add-on is played directly after finishing DmC. It should be noted that key scenes in Vergil’s Downfall are rendered in the same manner as the rest of DmC. Sadly, these two cinematic styles don’t really lend themselves well to each other. What makes Vergil’s Downfall its own entity, rather than just a mere plot extension, is how Vergil handles in relation to Dante. Ninja Theory did an incredible job of maintaining DmC’s control scheme while making Vergil feel totally different than his twin brother. While Dante is quick, aerial, and utilizes multiple weapons simultaneously, Vergil acts as a hard foil—he is more stationary, slower, and only ever uses his sword. This shouldn’t imply that he plays poorly, bear in mind. Though he begins fairly weak, Vergil quickly becomes incredibly powerful. He has access to angel and demon modes for his weapon—just like Dante—but instead of transforming his sword into a new arm, Vergil’s Yamato alters how it strikes. 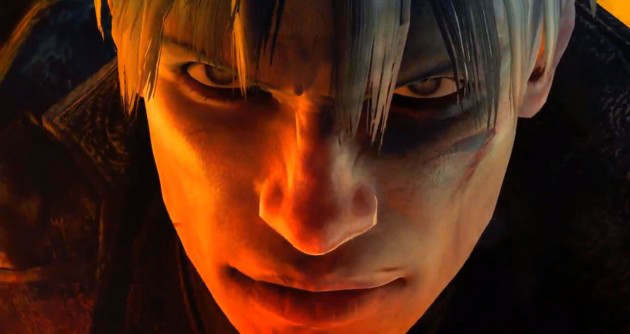 In essence, it’s the same property as in Dante’s controls; angel mode speeds him up and allows him to combo multiple enemies at once, while demon mode sacrifices agility for raw power. Most of the enemies you encounter throughout the DLC are largely the same as those found in DmC’s main game, with two exceptions. There is the ethereal Wisp, which fades in and out of the physical plane, and the Imprisoner—a gigantic beast that feels more like a mini-boss than a regular enemy. The environments through which you’ll crash and create chaos are all very same-y; much of them are recycled from DmC. This is justified, however, given the nature of the add-on’s plot. They do seem a lot less dynamic than their maingame counterparts, however. It should be noted that the DLC only contains six missions. Some of them are rather short; the add-on only adds a couple of hours on to Devil May Cry. That is a bit disappointing. However, just like the main game, Vergil’s Downfall includes its own set of achievements/trophies, and Vergil himself has his own ability tree to upgrade. That could have easily been left out of the final product, and I’m really glad Ninja Theory made Vergil his own true character rather than a re-skinned version of Dante. Despite some inconsistent cutscenes and a relatively short lifespan, Vergil’s Downfall provides a fresh play style and spot-on voice acting. It is ultimately a satisfying epilogue to DmC.